Manufacturer & Exporter of LCD Video Wall. Our product range also comprises of LED Video Display and LED Display. We offer these products to our esteemed customers in a spectrum of specifications to meet their diverse requirements. 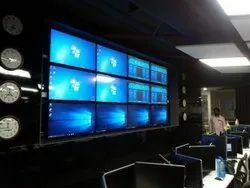 Ours is an illustrious organization that is engaged in manufacturing, supplying, trading and exporting LCD Video Wall. The range of products we offer is manufactured using high quality components following standards and norms of the industry. We offer these products to our esteemed customers in a spectrum of specifications to meet their diverse requirements. Looking for LCD Video Wall ?